Conestoga trailers provide the best of two worlds and offer some key advantages. 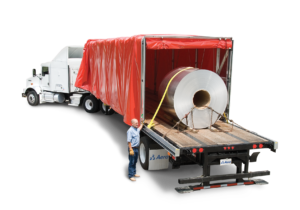 The trailers utilize a moveable tarp system to allow side access for a large variety of loads, When compared with other specialized trailers, there are some key advantages. On top of providing flexibility for a variety of freight, Conestoga’s also provide a useful solution when loading docks are occupied or non-existent. 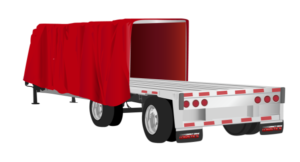 The moveable tarp system can retract in any direction allowing for ease of access by multiple forklifts if necessary. Further, independent access to all parts of a load at any point along a route means multiple drop loads are easily achievable from a single trailer.